In the early 2000’s outsourcing was a very negative word that meant people were losing their jobs in the US. Today outsourcing doesn’t have the same meaning it did back then. Outsourcing can mean hiring freelancers to handle projects instead of adding additional workloads to your existing employees. One of the biggest market for outsourcing has been in India. They have more skilled people each year capable of working remotely and that meet companies needs for IT work, like coding. Indian IT graduates are usually proficient in their English and provide low cost for high demand requirements when it comes to coding. 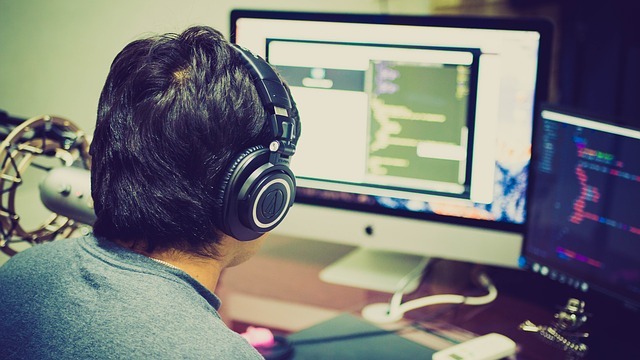 Freelance coders from India are able to handle much of the work sent to them by their US clients, there are definitive impacts outsourcing has had on the global economy. When you think about paying for a coder $6.80 USD per hour it might seem shocking, considering the US federal minimum wage is $7.25! However India has a lower cost of living. This lower cost of living with the globalization of freelance coding gives India a direct advantage over doing business with other business in the states or in Europe. It costs less to get coding work done remotely in India versus domestically. India has greatly benefited from the globalization of the information technology jobs. Where once India had no major export to offer the world, they now have an export of remote labor that can be used worldwide. They have an undeniable advantage over competitors for the US outsourcing market. When a client in the US makes a request, India’s workday starts when the US’s workday ends, India can have one day turnaround for its US clients. This means that instead of having US coders work long hours, evening shifts, or overtime, you can have work done overnight and come back and it is done and for less money! Protectionism is the use of economic policies to limit the amount of imports from one country to another. Under the Trump administration, they are viewing outsourcing as a one-way impact, and how it impacts the states and the states only. This has sent a message to India to be aware that if policies change it could dissipate their current competitive advantage they have for their highest export, remote labor. If labor is restricted or other sanctions are enacted this could impact the employment of everyday people in India and people trying to get work visas in the states. You do not need to work for an organization to do coding, you can freelance your coding skills. Coders can register with sites like: Freelancer.com, Upwork.com and HireCoder.com and work anywhere in the world and have clients anywhere in the world. This platform allows individuals or businesses to search out the skills they need for a specific task, like coding, they can negotiate and hire someone to get the job done. Along with an hourly rate being lower than US coders, businesses save by not having to pay for employee expenses like payroll taxes, insurance and the overhead of providing an office space for employee coders. Coders from India are able to freelance out their skills and earn better income than if they worked for a company in India, and still provide a cost advantage over US freelance coders. Thus far, most all of those involved are benefiting from the existence of outsourcing coding. Coding that is simple and the requirements can easily be explained can be exported to India by US companies. Coders here state side, handle more complex coding issues, thus they are certainly not out of work, but regularly handle more in-depth coding requirements than what is outsourced. In fact there are still jobs that are not being filled state side for coders! There are more opportunities than there are capable coders. Companies are able to save money by not paying their in-house coders to do tasks that can be done through outsourcing. Years back people believed that all IT jobs could be handled through outsourcing to India, but corporations soon learned that while they were saving money, they were spending money on other things. It took longer to get the requirements of complex projects handled, thus much of this work came back to the States to be handled by US trained coders.